This page serves as a information center for many of our inside jokes or "memes". Regardless of if you are one of us or just happened to stumble here by accident, I do hope you enjoy what we have in store for you. 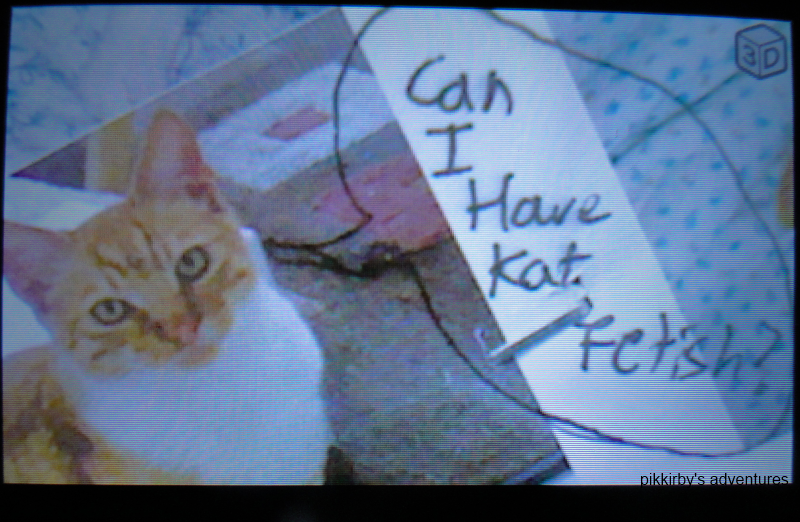 The cat fetish meme was originally started by Suffocate, later extended onto PikKirby and only recently shared with Mathijs. The origin of the meme started when PikKirby had needed assistance in creating fake accounts to promote a comment which was part of a contest. Regardless of the outcome, Suffocate had assisted in the creation and use of multiple accounts on the site: IGN. 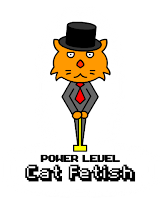 Fortunately, the site did not require email-confirmation, and the creation of accounts was greatly increased, and most of the account names were humorous in name; one of them being named something along the lines of: "CanIhazcatfetish" or so. The account itself was created in that name and the comment was also the same. The comment was enjoyed ferociously by the two that it had sky-rocketed to a level of being a meme. The meme itself is overly simple to understand in theory, as the name suggests it's based on an actual sexual fetish for cats. Not necessarily a physical attraction, but not limited to; rather the use of the words: cat + fetish. The meme is usually used in caption form, although other means of communication are feasible. A large majority of cat fetish memes involve cats possibly begging, or being in a suggestive position (etc): leading to the possibility of a "cat fetish. Can I haz cat fetish? The original, first cat fetish img. Mathijs takes credit for this one. meme, extended to real life. The Mathijsdad meme was first coined and created by PikKirby of the year 2011. Mathijsdad is a fictional character taking residence in the game: The Sims 2. The meme originaited when PikKirby was showing/telling Mathijs about how he had created him inside the sims, which also included his family. Due to the fact that PikKirby did not know Mathijs' parent's names, he had simply named them Mathijsmom and Mathijsdad. This meme is even funnelled deeper into the mind of PikKirby. While the meme in known, only PikKirby finds it amusing. Overall the story is that Mathijsdad, in the game of the sims, is a rather unusal fellow. Mathijsdad and the entire fictional Mathijs family all have jobs in the military, and he insists that the "only thing in a bathroom, should be toilets". Showerheads and sinks are installed in bedrooms instead of the washroom in the Mathijs-household. Aside from his unusual beliefs, he also seems to dislike stoves. Instead of a stove, Mathijsdad insisted that they purchase a barbecue grill instead of a gas stove. While unknown if Mathijsdad has actually any reason at all not to have a stove, the barbecue grill is a constant fire hazard; constantly being set aflame 9 times out of 10. Overall the Mathijdad meme's main humour is in the fact that Mathijdad is an unusual character, usually enforcing strict rules and beliefs which seem to make absolutely no sense. 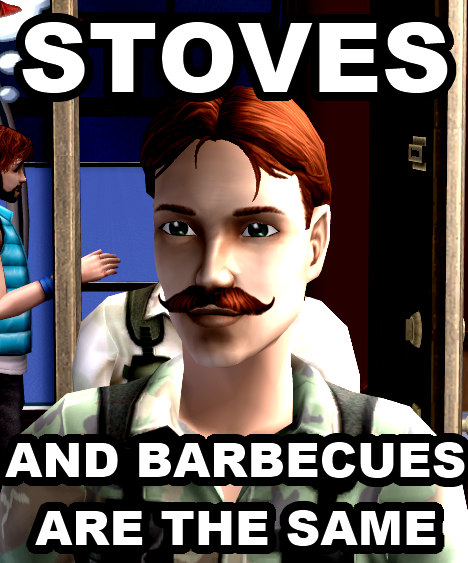 "Stoves and grills are the same." "The only thing a washroom should be is for extreme shitting. That's why I have three toilets in my grand-master-bedroom-washroom." 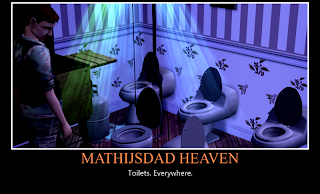 why Mathijsdad insists on a large number of toilets. As stated above, the meme usually just quotes of lines from the video series: The Ultimate Trio; which are videos set to music, a montage of narration or voice-acting from the three trio: PikKirby, Suffocate, and Mathijs. Most of the time, quotes revolving their original owners are frowned upon, for example: suffocate would dislike most quotes of himself being said. I CAn'T FLY THIS THING!